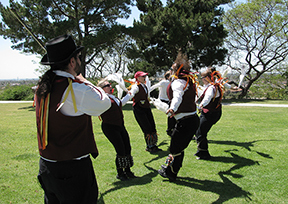 Rising Phoenix Morris performs traditional dances derived from the Cotswold farming regions of England. 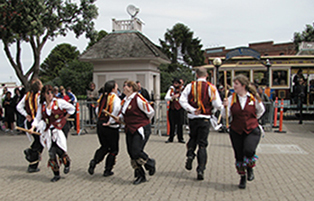 According to 17th century written records, it is believed these dances date back to at least the Renaissance. 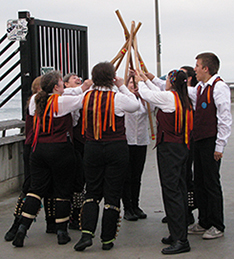 English Morris Dancing is a high-energy, exuberant dance form characterized by waving hankies and sticks clacking together, sometimes even flying from hand to hand. 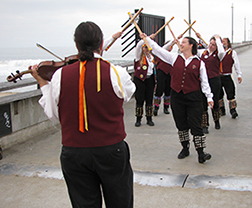 Based in the greater LA area, RPM appears at festivals and public venues bringing color and fun with their unique 'village square' style of dancing and live music. Their goal is to bring pleasure to all who would take the time to watch and enjoy, as has been, and is still being done throughout the lovely countryside villages of England. 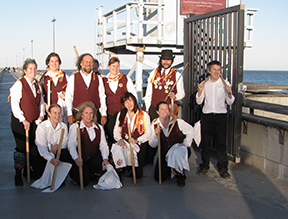 Rising Phoenix Morris is affiliated with Morris organizations in England and the American Folk Song and Dance Society. Stay Tuned for So. California Ale Spring 2020!